This HiRISE image shows great detail of light-toned knobs in a region known as Ariadnes Colles in the southern hemisphere of Mars. 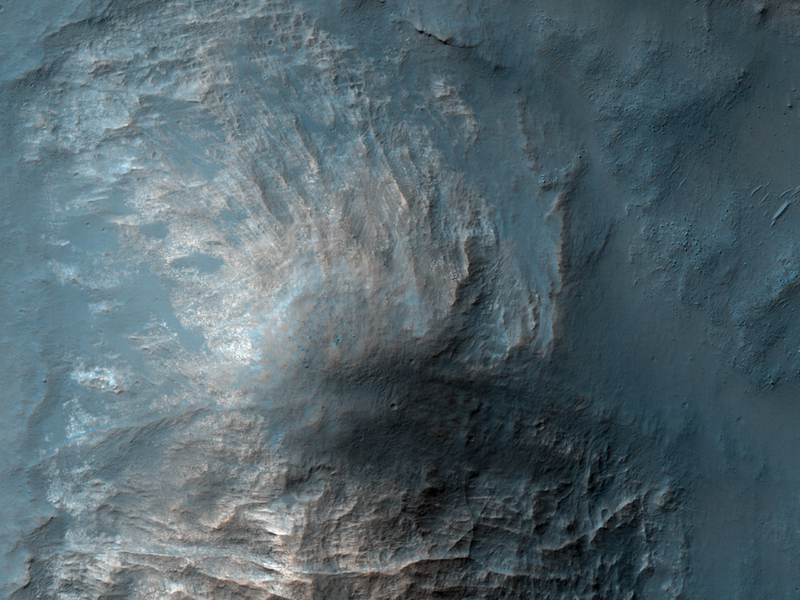 As visible in this false color RGB composite, there are high standing light-toned deposits that are covered by darker material. 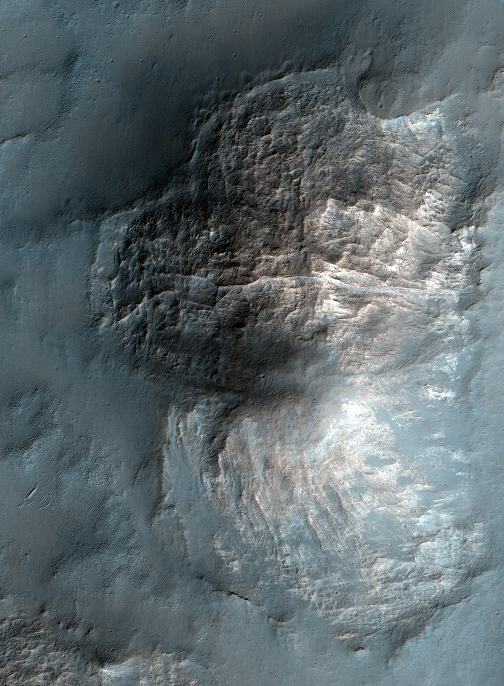 This darker gray-blue material is most likely dust or sand that once covered the region, was since lithified (cemented), and is now being eroded. This is a stereo pair with PSP_010717_1445.